Over a year ago, I moved to a picturesque village within the Northumberland countryside. You might have remembered me mentioning it on the 19th January when I discussed my debut novel Darkest Obsessions. I had lived in the East Midlands all of my life until in 2015, me and my husband finally put our long awaited plan together and moved to Northumberland. I have always had a love of reading and writing and so thought it would be the perfect opportunity to start following ‘all’ of my dreams and so I wrote Darkest Obsessions. In January, I published my second novel. Again another romantic suspense called A Way to Escape. I feel the most comfortable writing romantic suspense. It is a genre I have always admired and so the stories always come naturally. Along with a very good imagination! A Way to Escape involves Anna, who after finding her fiancée is holding a devastating secret, she embarks on a life changing trip across Britain. After deciding quite spontaneously to purchase a classic V W camper van, she travels to her Aunts in the North East of England. But then things go drastically wrong for Anna when her camper unexpectedly breaks down and Jake Turnbull comes to her rescue. Jake is both mysterious and alluring and before long it is Anna having to rescue Jake when he is injured. But Jake has a dangerous past. A past which involved a notorious South American arms dealer, who wants Jake dead. And he has sent the worse person he could possibly send, someone who Jake once had feelings for. Before she realises, Anna is involved in a serious game of cat and mouse which puts them both in danger of their lives. I called this A Way to Escape for a number of reasons. 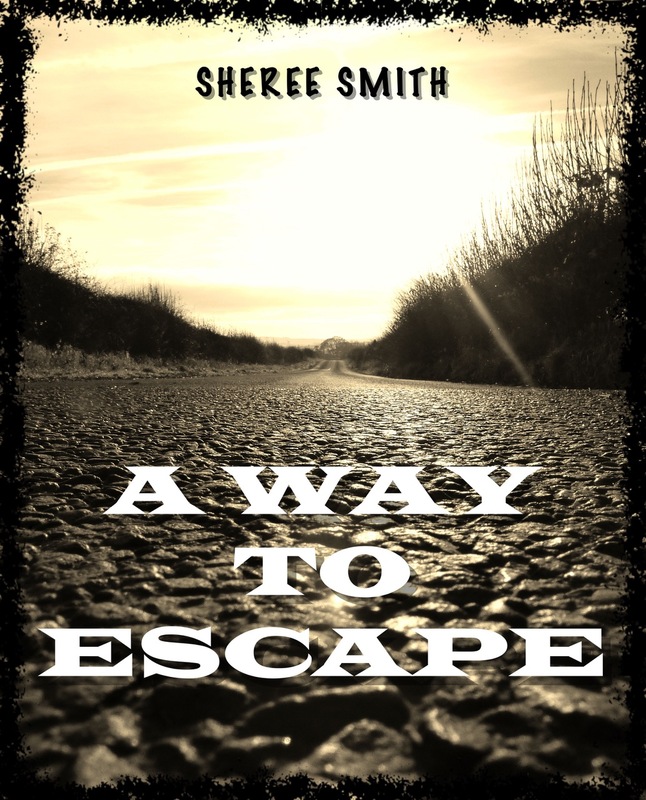 Not only is Anna trying to find a way to escape her old life and start anew but Jake is also trying to run from his sworn enemies, also trying to escape his old life. The book visits great places along her journey, Holy Island in Northumberland and Lossiemouth in Scotland to name some. Even the hunting lodge described in the book is a true building located on the road to Elgin. I have drawn on my own experiences when writing this story. I myself own a VW Camper van and my husband and I have travelled all over Britain camping. It isn't the type featured in my book, ours is a 2008 Transporter model rather than the 1970s version in the book but it still allows us to have some fantastic holidays. Holy Island is only a short trip from home for me and the other places in the book, we have all visited in the camper. You can see some of our trips on my Facebook page. I hope you enjoy reading my book which can be found on both Amazon or you can follow me on Twitter or Facebook.